Needing a ride to the airport? How about to a top of the line business meeting? Let us take you.. When you are as high up as you, you really need to make a good first impression. You never know when you will be meeting someone that could help you move onto the next level of your career. 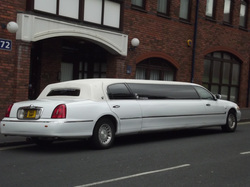 You need to be driving up in style in one of our decked out and stylish limousines. We have every type of limousine that you could possibly want or need. Our elegant and sleek limos will have everyone easily impressed as you pull up with one of our professionals, who will be delivering you some of the most top of the line customer service out there today. Let us handle all of the logistics of your arrangements. Give us a call today at 972-362-9449.